Urban air pollution in Asia has worsened in the developing countries, a situation driven by population growth, industrialization, and increased vehicle use. With an estimated 3 billion (~55%) urban residents in Asia in 2025 in <5% of the Asia’s land cover and human health effects as a primary measure urban environments are the first to react to any of the pollution control regulations. 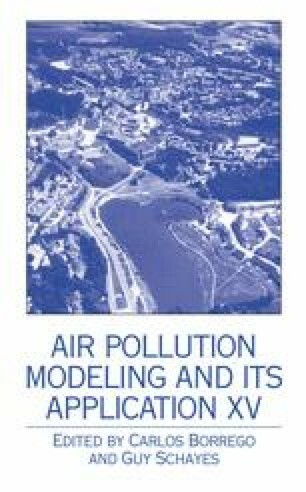 Modeling activities were conducted to understand and characterize the urban air pollution in Asia at local, regional and global scales. GFDL/GCTM simulations under two scenarios were conducted to establish the impact of growing NOx emissions on regional photochemical activity where contributions of >10% for CO and NOx at ground level were predicted. Given the growing importance of urban air quality management, we have applied a conceptual integrated assessment modeling system to conduct cost-health benefit analysis for various pollution control options in the city of Shanghai, China. IAMS was applied for PM10 ground level concentrations with sulfate concentrations as a surrogate for secondary particulates. In future, we would like to conduct integrated assessment including other secondary components like nitrates, and secondary organic aerosols. Further advancements in modeling activities like nested grid analysis, will help better understand and manage the urban air quality whose influence on regional and global air quality is growing more than ever.